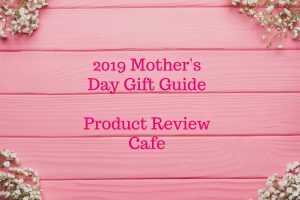 Calling all tech-lovers!! 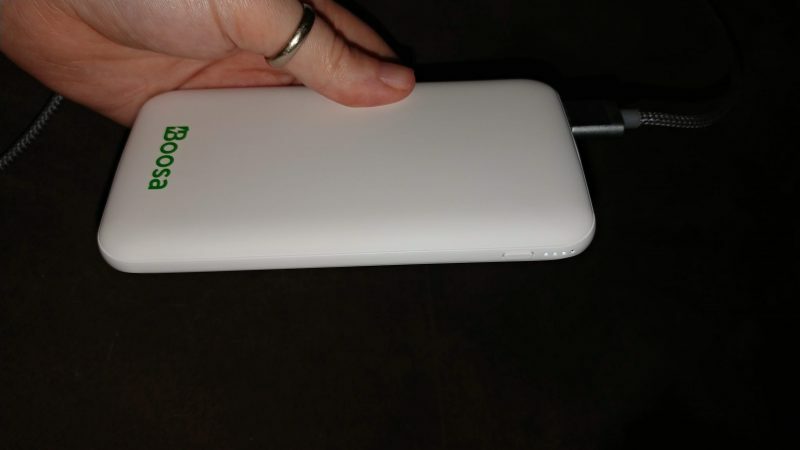 The Boosa Macro M1 Power Bank is one of the coolest power banks I have ever had! This is so light weight and I have to say that it charged my ever-annoying cell phone like a boss. 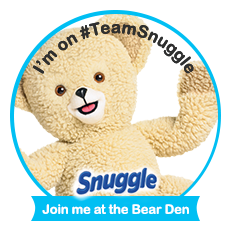 This came pre-charged but I have recharged it since because unfortunately we had a power outage. Yes, the coldest day of the year so far our power went out for over 5 hours. My phone was dying and I needed it to be able to have my phone to check in with the electric company for updates on our outage. I was also using my cell phone to stay in touch with my parents and husband who were making sure we were warm, had warm food for lunch and also to just make sure we were okay. Look how thin this is! I love that this acted as a rapid charger and I didn’t get any notices on my phone for “slow charge” which often happens when I use any unfamiliar device or even a different wall charger. 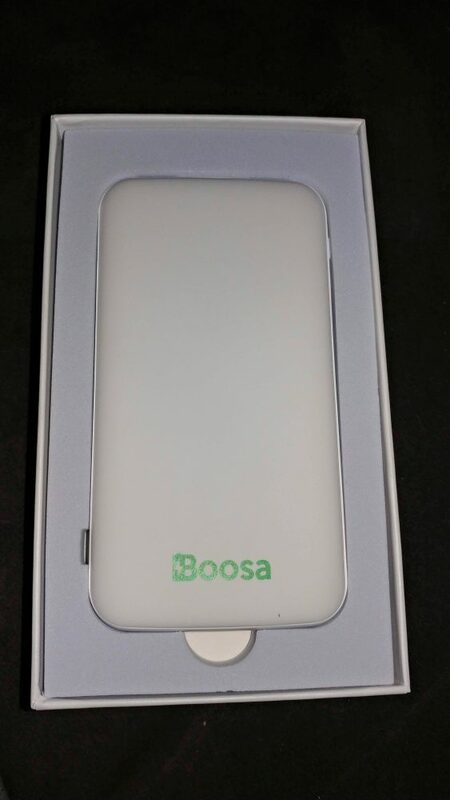 The Boosa Macro M1 Power Bank retails for $49.95 but right now it is on same for $33! Tech fans would love to get this as a special Valentine’s gift this year and I know I would love to have another one here in our house for charging multiple devices. 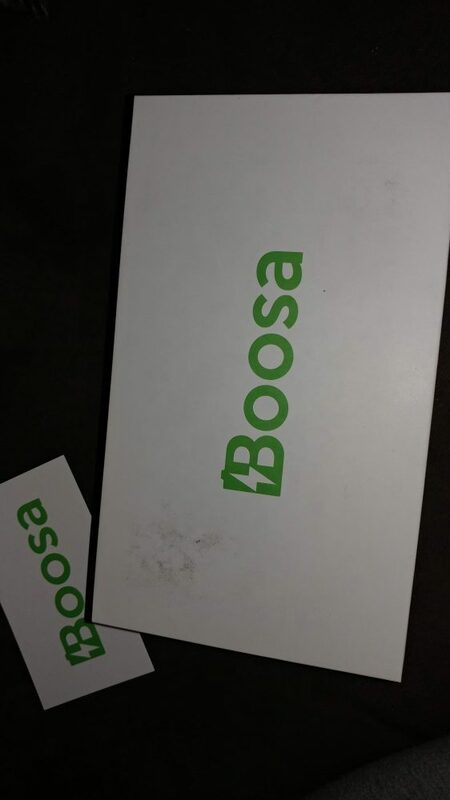 Light enough to toss in my purse, a light bag or even a lunch box the Boosa is one of my favorite household devices and will be added into our emergency kit and to use with my phone while traveling, too.